Are you looking for a work vehicle, but are not interested in the massive, oversized work trucks? Ewald's Venus Ford has the perfect vehicle in mind, the new lineup of 2018 Ford F-150 that is available today. These F-150 were made with Wisconsin mind and are built to handle everything that Wisconsin has to offer. Ford has made sure that everything they make is ready to handle any job and will remain durable for years to come. The 2018 Ford F-150 is available in 6 different trims and every one of them is well built with luxury in mind. You can find exactly what you need with all of the additional options available. It's time to work hard and play harder in your new F-150 from Ewald's Venus Ford on East Layton Avenue near Milwaukee. This is one decision you will not regret. 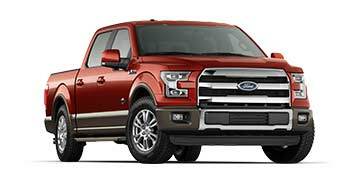 The new 2018 F-150 at Ewald's Venus Ford near Milwaukee will exceed all of your expectations with how much easily it is able to complete a challenging task, from hauling to towing to managing harsh terrain. 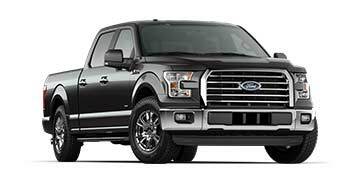 You will never have to worry about how much your truck is able to handle, because Ford has built the 2018 F-150 with the biggest loads and toughest jobs in mind without being a behemoth of a truck either. The 2018 F-150 is not just about working hard, it can play just as hard as it works. You will be able to handle any off-road adventures you can imagine and take it back to the work site the next day. The exterior and interior are both designed with class and style in mind, Ford has made sure that the 2018 F-150 is the type of vehicle that gets all of the attention no matter where it goes. There is also more than enough room for your coworkers to sit comfortably when you go somewhere, because they have enough room to relax. This vehicle is great for someone who wants a truck that gets great gas mileage, isn't huge, but still can handle the toughest jobs. 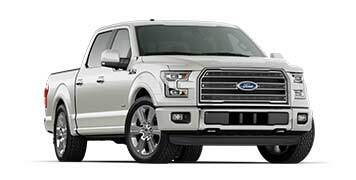 Ford didn't forget about technology either, the F-150 is jam packed with plenty of cool new features. With a high end sound system, productivity screen, and many other features that are intended to ease your day to day duties, it will help lessen your workload. 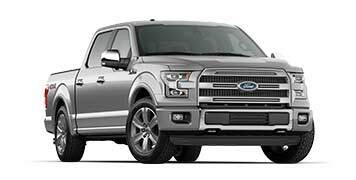 A lot of thought was also put into the safety features, with the numerous airbags, SecuriLock anti-theft system, and remote start, and perimeter anti-theft alarm, you can rest easy knowing that you and your passengers are safe and when you park your 2018 F-150, you will feel secure knowing its protected. It's time to take a cruise around town and show off your new toy..
With the 2018 F-150 you will look for any excuse to drive around, because it is great for taking a trip to Milwaukee or traveling around Cudahy all day. 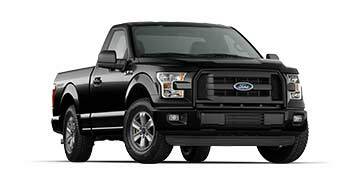 You can drive around assured that the F-150 will not break down, you can drive with confidence knowing that you are using a high quality and dependable vehicle. The 2018 Ford F-150 is just as good in the mud, gravel, or sand as it is at the work-site. Give it a chance to show off what it is capable of, the engine is more than ready to prove that nothing can stand in its way. Ford has painstakingly engineered and perfected every inch of the 2018 F-150, making it great for every occasion. Ford SYNC makes it very easy to safely multi-task while you work because it listens to your every word. With the multitude of trims available, you are sure to find the exact 2018 Ford F-150 that will fit all of your needs, especially when you add in all of the additional options available. Find out which 2018 F-150 is the right one for you.